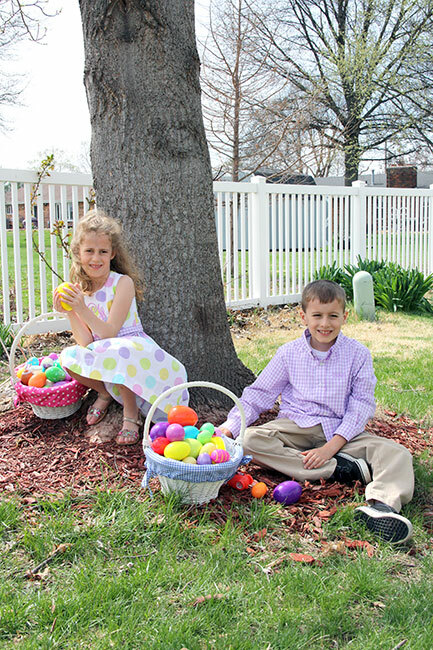 These were also cute I thought 🙂 We usually have grandma at our house for the egg hunt and she always gets adorable photos of us all as a family. But, it just didn’t work out to do that this year and that’s ok. 🙂 as long as I get one shot with them looking somewhat in my direction, I’m happy. ha. 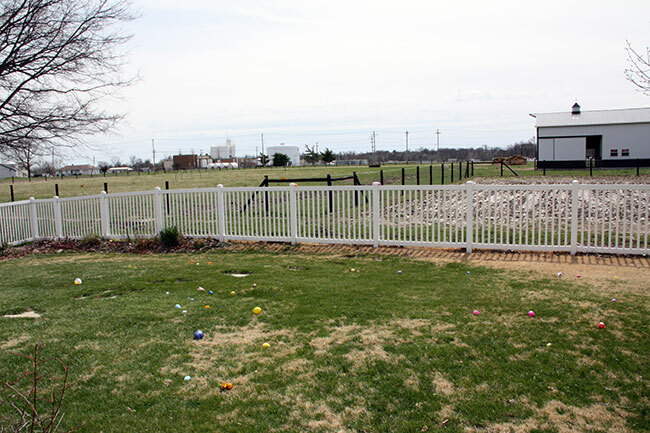 This was our yard before the egg hunt. 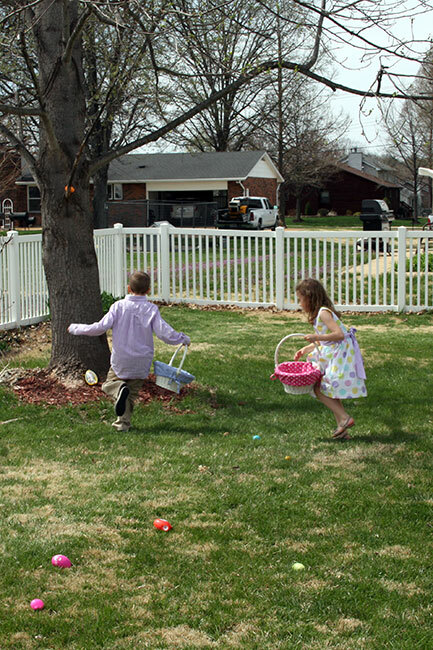 Frantically running to get the most eggs! 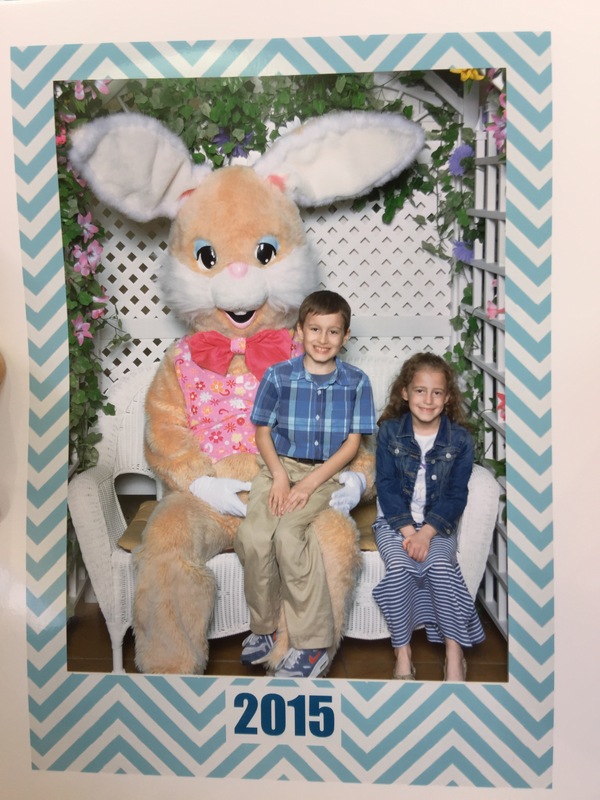 A couple more egg hunt pics. 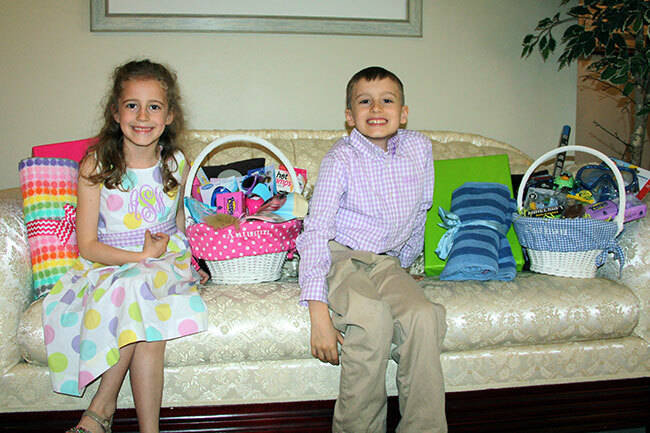 The kids with their Easter baskets (this was actually before the egg hunt). I got them both new bath towels at Target. Nathan was the most excited about a laser-beam nerf gun he got and Autumn got hot stamps (she’s been seeing the commercial and wanting them!) from the Easter Bunny!! 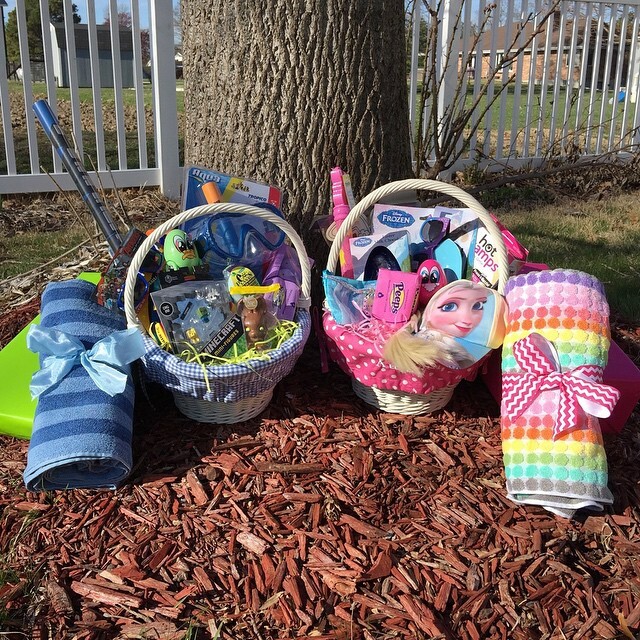 This was a photo I took of the Easter baskets after I finished them. It is fun to go back and look at previous years baskets. 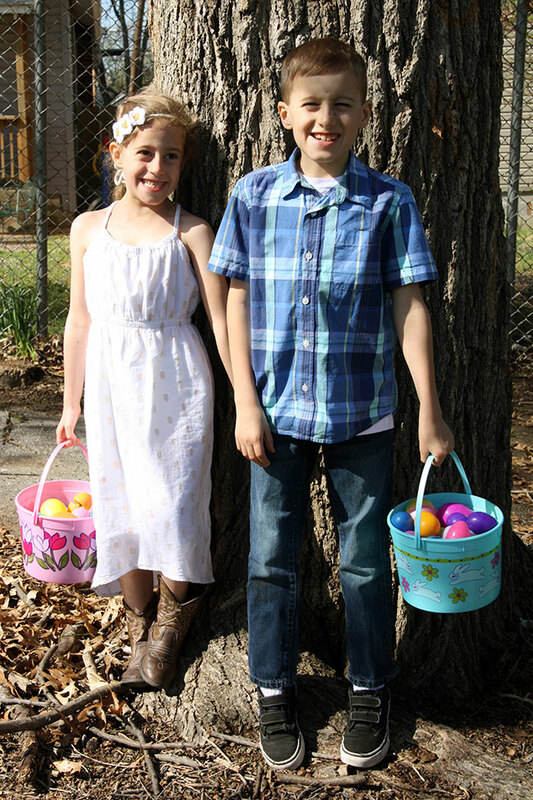 My have they grown… it makes me sad. 🙁 and happy. But, I want them to be my little babies forever! Wahhh. 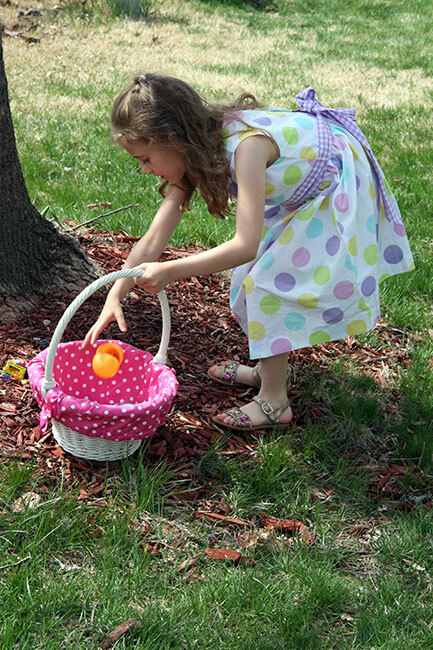 The kids had an egg hunt at school and it was beautiful weather and they had a lot of fun! I shared more pics of this HERE. Brian and I always make adult baskets for each other… I knew he needed some new shirts, so I rolled some up and put them in his basket. I wish I had taken a picture of his basket, but I forgot. 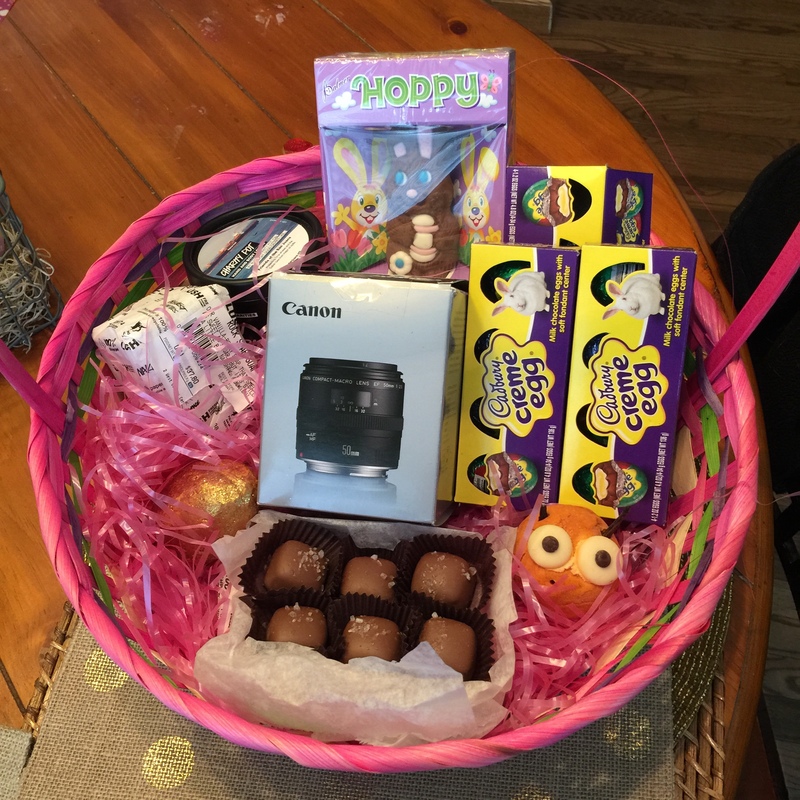 Here is a picture of the basket he made up for me… it has a :gasp: macro lens in it! I have been wanting one forever and when I cracked my protective lens (they are inexpensive and on a camera lens to protect it) he was at the store to get me a new one and just decided to get me a macro lens! He said he has been wanting to get me one for awhile, but for Easter? I was blown away! Very sweet. My basket also has some lush goodies (can’t wait to take a bath with the gold egg!) 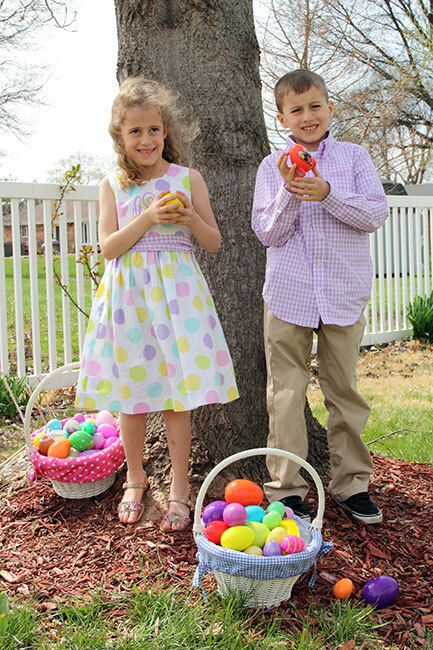 and my favorite Easter candy, cadbury eggs!!!! Yum! 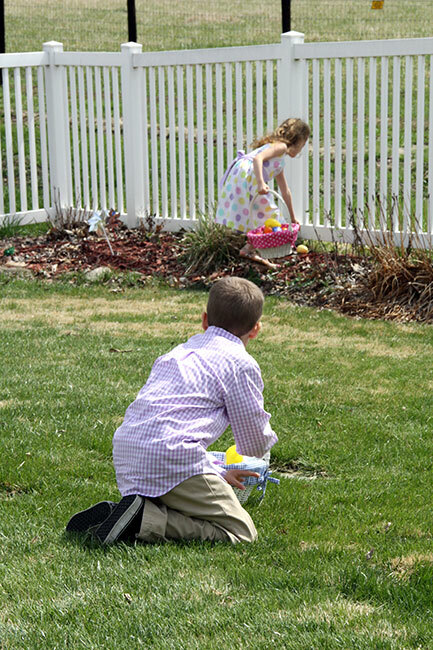 The day after Easter, the kids were off school and my mom had them over for another egg hunt and more baskets! Spoiled! 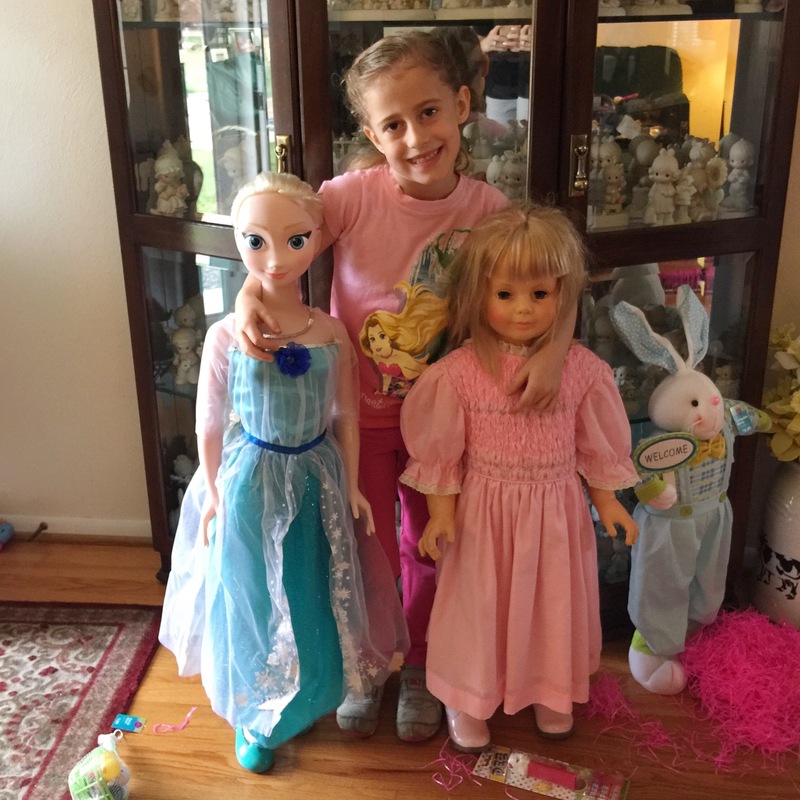 Autumn got this HUGE Elsa doll instead of a basket. She had to put it next to my old doll that is almost the same size! This is such a cute picture!! 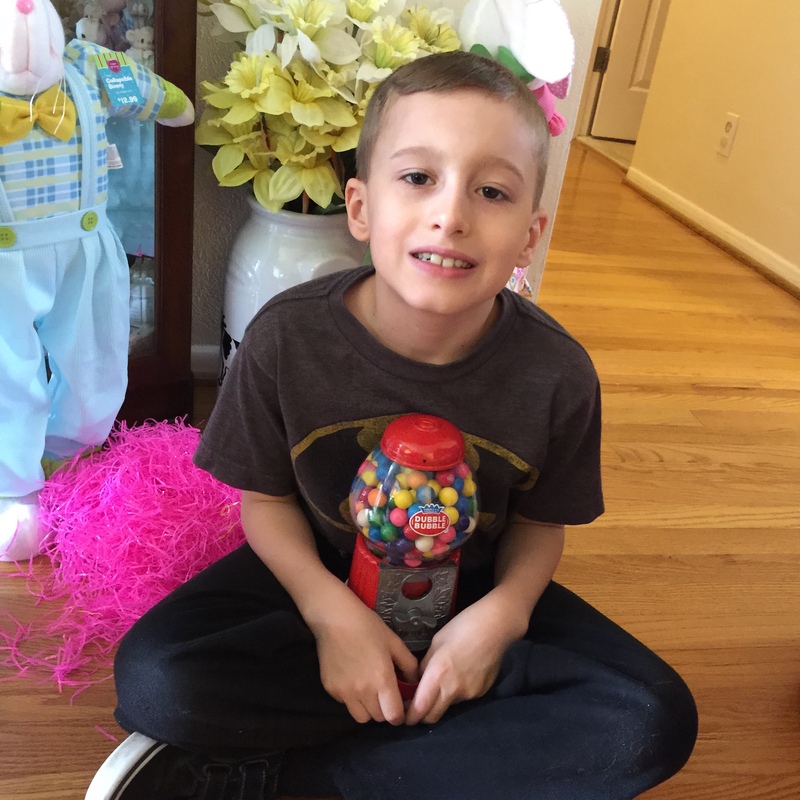 Nathan got a bubble gum machine that takes real coins. 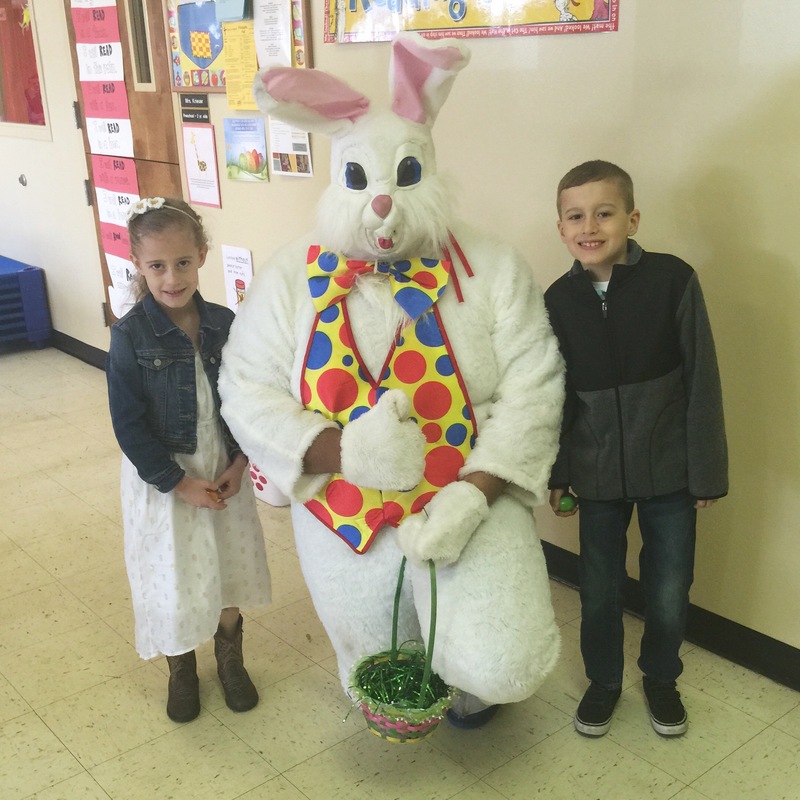 The first thing he said when he saw it in his basket was… “I’M GOING TO GET RICH!” lol. Gotta love them!!! 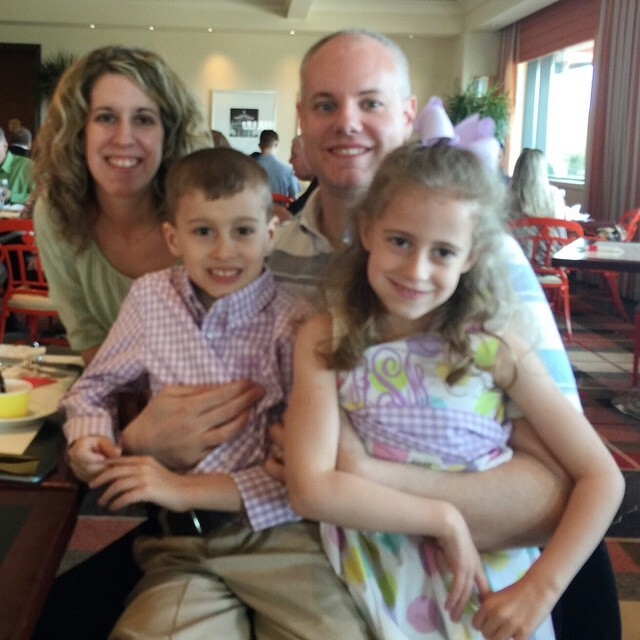 And, you probably saw this photo on Instagram, but here we are at lunch with my parents, brother and SIL on Easter. We got a picture of the entire table on my moms phone, but I haven’t gotten it from her yet. This one is a little blurry, but I’ll take it since we are all looking at the camera! 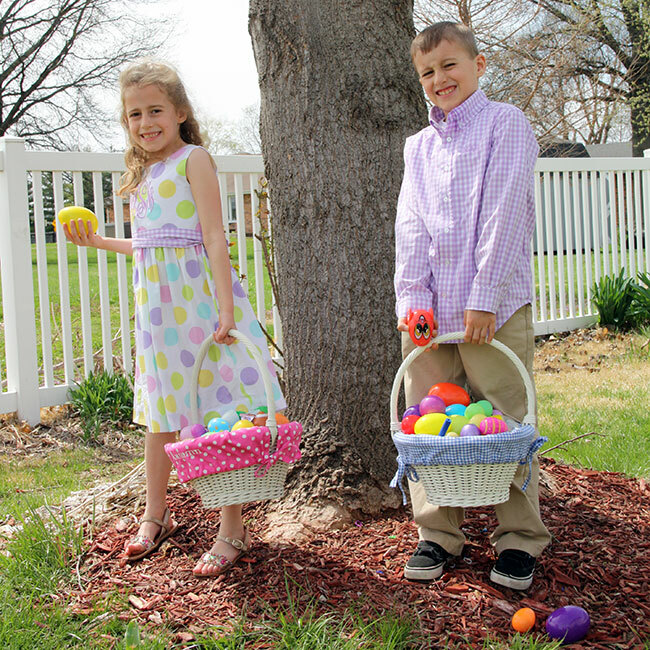 Hope you had a wonderful Easter! Christ is risen! I am so thankful that he sent his son to die for our sins and he rose from the dead! We no longer need to be afraid what the future holds for us! Also, a special note… late week I was going to just make Campbell’s tomato soup out of the can, but one of my blogging friends told me I should try THIS fantastic crock pot tomato soup. 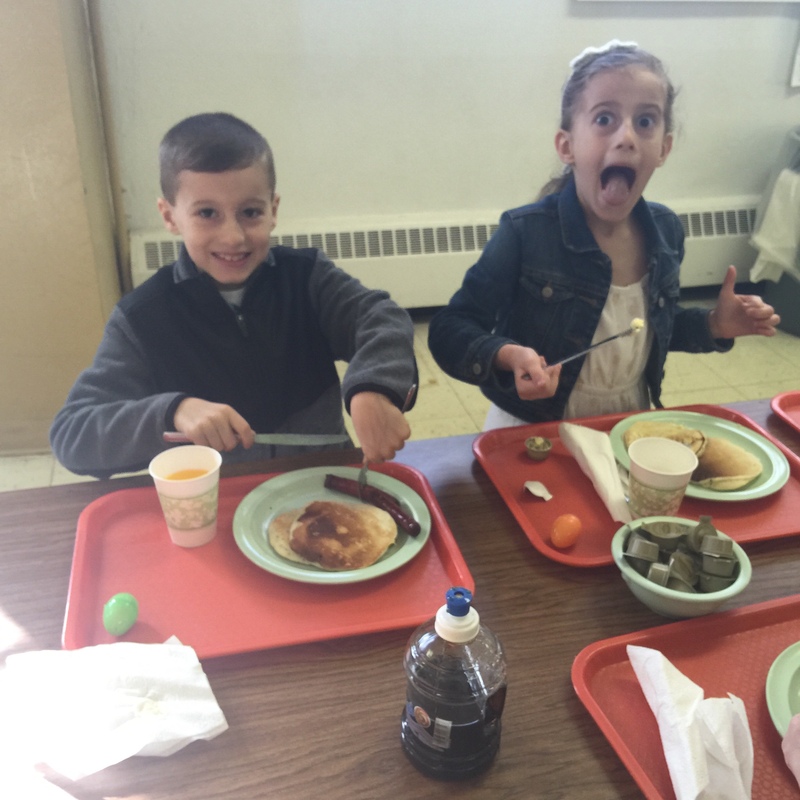 I made it around 10 a.m. before Autumn’s field trip that day and it was DELICIOUS at dinner time!! YUM! Def. try it! I have a half marathon this morning, so I’ll probably be laying low the rest of the day and maybe even going to bed early. Dinner to go at home sounds awesome. We didn’t make this last week, SO it is on the meal plan for Monday once again!! We have a lot of sausage, cheese and crackers left over form our picnic dinner from last week… so, I thought we really could do another picnic dinner. Yum! I have been wanting to try a turkey in the crock pot for AGES. I really love Skinnytaste’s recipes and have been wanting to try more of her recipes… so, I am giving this turkey one a whirl. I am going to use a boneless breast, though. We’ll be enjoying dinner at a wedding reception. No cooking required by me, woo hoo!